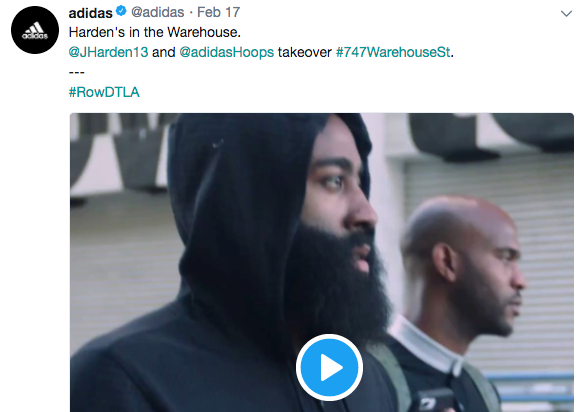 ADIDAS launched its 747 WAREHOUSE experience for the 2018 NBA All-Star Weekend in Los Angeles. For two days, attendees copped exclusive kicks, watched a celebrity game pitting 2 Chainz and Snoop Dogg’s rapper-studded teams against each other, took in performances from N.E.R.D., 21 Savage, Lil Uzi Vert, Playboi, Carti, Pusha T, and entered an immersive space that brought them into the ethos of adidas’ products. BIA JUREMA served as the live editor on a round-the-clock team responsible for cranking out dozens of branded videos throughout the weekend.